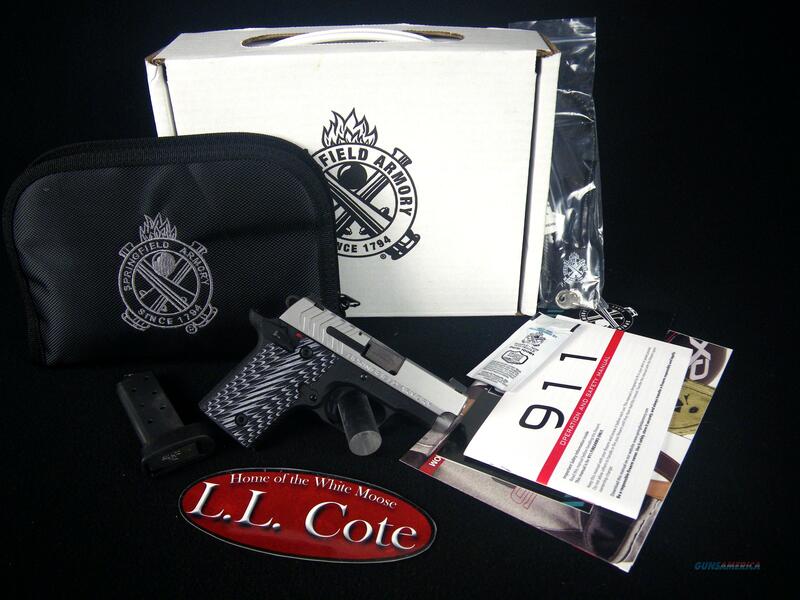 Description: You are bidding on a Springfield 911 Stainless in 380ACP with a 2.7" barrel. When the police are minutes away and the threat is seconds away…9-1-1…When you have to be your own first responder. Springfield Armory’s 911 .380 is the perfect pistol for your EVERY day carry. The lightweight 7075 T6 aluminum frame and black Nitride or stainless 416 steel slide measure 5.5 inches long and less then 4 inches high, with a snag-free profile that’s undetectable under clothing. Springfield’s Octo-Grip™ front strap texturing ensures a secure grip and is complimented by a G10 Octo-Grip™ textured mainspring housing. G10 Thin-line grips and a short reset, crisp 5-pound G10 trigger shoe by Hogue® come together to give the feel of shooting a full-sized firearm. Designed for life-saving defensive use at close range, the 911 features an ambidextrous safety and is perfectly matched with an Ameriglo® Pro-Glo™ green tritium front sight inside a yellow luminescent circle, and a tactical rack rear sight with green tritium inside of white luminescent circles. Approved for the most advanced and modern .380 defensive ammunition, the 911 comes with a flush 6-round and 7-round extended magazine. The Springfield Armory 911 is also offered with integrated green Viridian® grip laser, making target acquisition all but effortless. Displayed images are stock photos. Any questions please feel free to ask (our phone number is in the additional information tab above).